The Pittsburgh Mercy Parish Nurse & Health Ministry Program is a legacy program of Pittsburgh Mercy and the Sisters of Mercy. Established in 1991, we’re one of the first faith community nursing programs in the United States. We’ve provided consultation and resources to individuals and groups from more than 1,000 diverse and inclusive faith communities, including the Catholic, Christian Orthodox, Jewish, Protestant, and Muslim faiths. We partner with faith-based organizations who serve people from diverse cultures, ethnic traditions, and backgrounds. We promote faith community nursing as a vital ministry in all faith communities. We enhance networking opportunities among all faith communities. We assist faith communities in starting volunteer health ministry programs that will thrive and serve the needs of those they serve. We conduct health ministry trainings at local churches. We invite faith communities, faith-based organizations, and care providers who are interested in learning more about faith community nursing, health ministry, and/or a wholistic-care approach (whole-person health), balancing body, mind, and spirit. To contact us, call 412-232-5815. The Pittsburgh Mercy Parish Nurse & Health Ministry Program began as a collaborative partnership between Pittsburgh Mercy and 10 churches – seven Roman Catholic, two Lutheran, and one United Church of Christ – located in medically underserved communities in the City of Pittsburgh. Seven part-time registered nurses brought healing and wholeness to vulnerable populations, including women, children, and frail older adults. 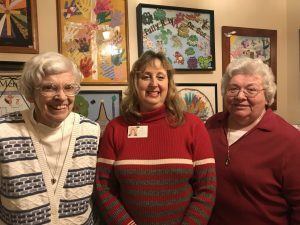 The Pittsburgh Mercy Parish Nurse & Health Ministry Program honored several of those who helped pave the way for faith community nursing in Pittsburgh. 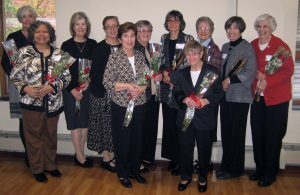 The work of these seven parish nurses honored the spirit of Catherine McAuley, founder of the Sisters of Mercy, as well as the seven Sisters of Mercy who came to Pittsburgh in 1843, who became known as the “Walking Nuns” for their outreach and service to the community. As health educators, advocates, and counselors, the original seven parish nurses became visible, community expressions of the healing ministry of Jesus Christ and the seven walking Sisters of Mercy. The Sisters of Mercy, our founding seven parish nurses, and all who’ve dedicated their life’s work and service to the ministry of faith community nursing continue to inspire our work.